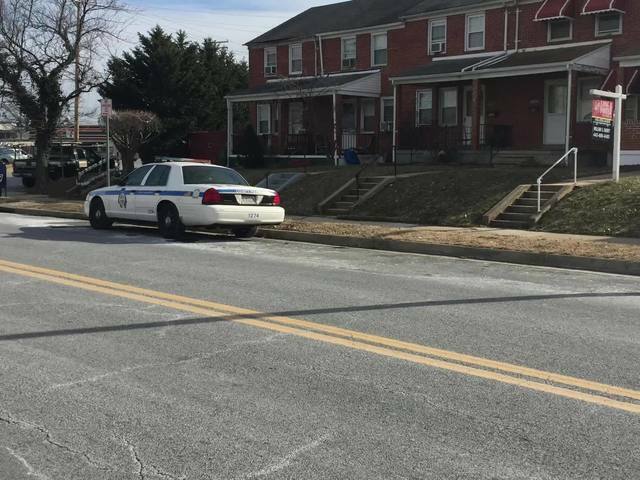 A 55-year-old man has been charged in connection with a barricade in Dundalk over a grilled cheese sandwich. The argument started when Daniel Brian Blackwell's wife came home from the grocery store with her teenage daughter and her two friends. Blackwell's wife asked him to help her unload groceries, and an argument ensued. The argument escalated when she took a bite of his grilled cheese sandwich. Court documents say Blackwell "in a fit of rage" went down to the basement. An hour later his wife went downstairs and found him lying on the floor holding a shotgun, with ammunition strapped to his body, and other guns laying around him. She then asked him, "Does this look normal?" and he replied, "let them come and get me." 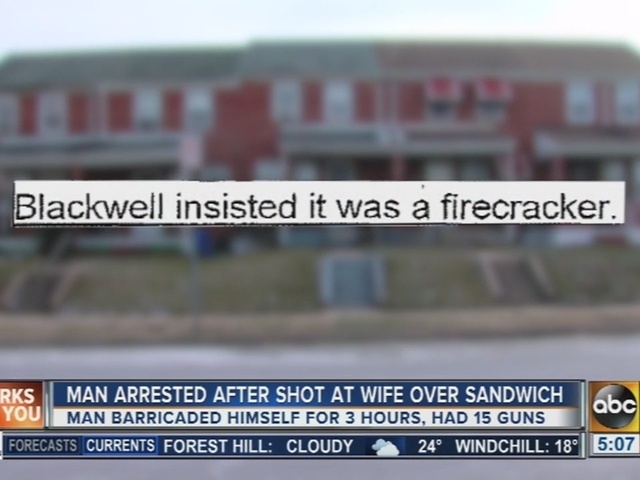 Blackwell's wife then heard a gunshot, went downstairs and confronted Blackwell. He insisted it was a firecracker. Blackwell's wife went upstairs and told the kids they needed to leave because Blackwell "was going crazy". Blackwell then came upstairs and asked if anyone called the police. No one responded. He went back downstairs and shot three more times, up through the floor, almost hitting his wife in the kitchen. She said she felt like he was aiming for her, because he could hear her footsteps. Then she and the teens ran outside to officers. Neighbor Guadalupe Celis said she took her two sons, 7 and 3-years-old down into their basement when they heard the first gunshot. Celis said she'd heard Blackwell get into drunken arguments before, but this one was more serious. In Spanish, she told ABC2 News Blackwell, "yelled at officers, I don't care about anything, I am 55-years-old, shoot me!" The standoff lasted about three hours and ended peacefully. Baltimore County Police found 15 guns, four of which were loaded, inside Blackwell's home in the 7100 block of E. Baltimore Street. Blackwell isn’t legally allowed to own guns due to “prior assault convictions,” according to police. The suspect has been charged with attempted first- and second- degree murder, first- and second-degree assault, reckless endangerment and various firearms violations.